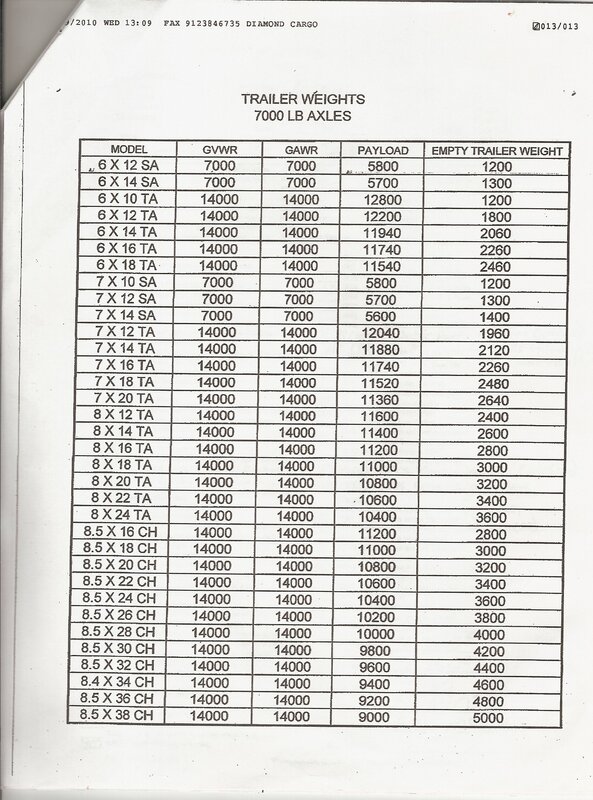 Florida Cargo Trailers at discount Prices. 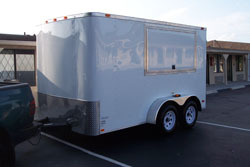 Buy the best quality utility, concession and auto haulers. 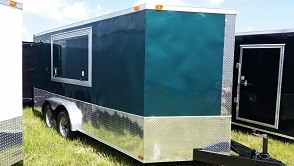 Personalized, customized enclosed and open trailers including Diamond and Bendron. 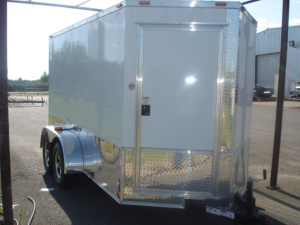 "$2,225 DIAMOND 6' x 12' Single Axle: V-Nose, Rear Ramp Door, 24" Side Door, White Color, 75in. Interior Height, Plywood Floor & Walls, Air Vent, Interior Light, 24in. ATP Stone Guard, Alum. 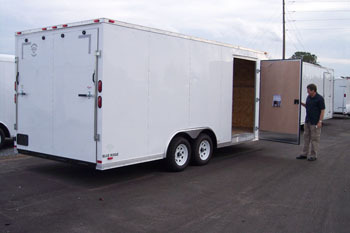 Fenders "
"$3,599 DIAMOND 7' x 16' Tandem Axle: V-Nose, Rear Ramp Door, 32" Side Door, White Color, 75in. Interior Height, Plywood Floor & Walls, Air Vent, Interior Light, 24in. ATP Stone Guard, Alum. 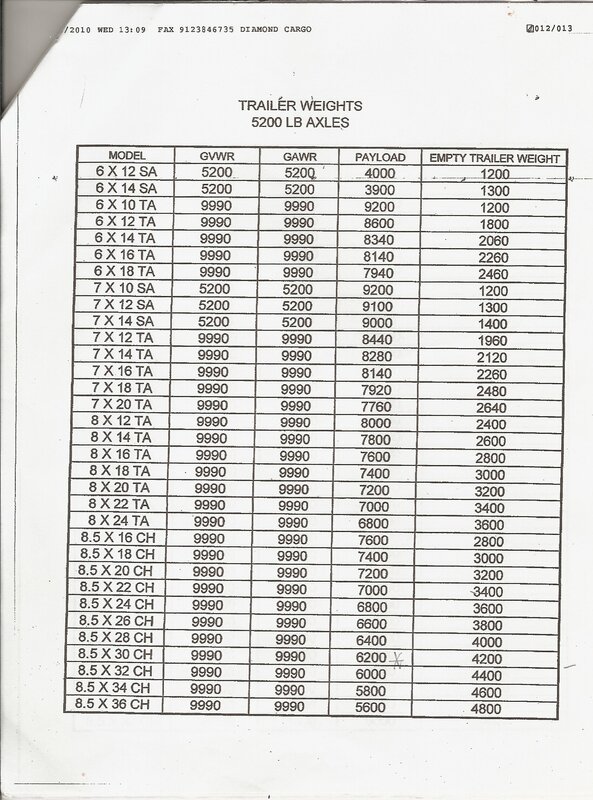 Fenders, Electric Brakes"
"Proud sellers of Our Best Quality DIAMOND CARGO Enclosed Cargo Trailers"
LOW PRICES AND HIGH QUALITY! How long does it take? How long does it take to build? Ball for Coupler Sizes What size hitch ball do I need? Electical Plug Sizes What size electrical plug/connecor do I need? Specialized Financing For financing assistance, look here. 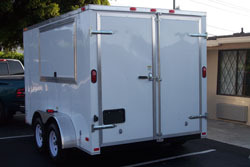 Extensive design options give you the exact Florida Cargo Trailer that you want. Following are some of the optional features available. Standard features vary depending on trailer size. Ask for specific feature options. 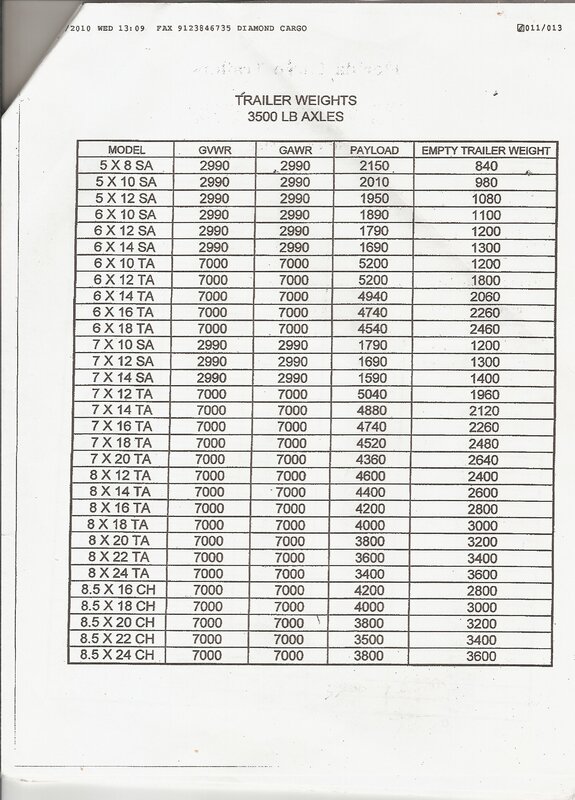 Shipping/delivery charges are not included in our prices. Request a quote from a sales person. Options include picking up at the factory or a delivery to the location of your choice. We are flexible and can deliver mid-way, such as half-way between your location and the factory.